Max Ehrlich (the man behind Z.P.G. - Zero Population Growth) wrote the screenplay for director J. Lee Thompson’s 1975 picture The Reincarnation Of Peter Proud, basing it on his own novel of the same name. 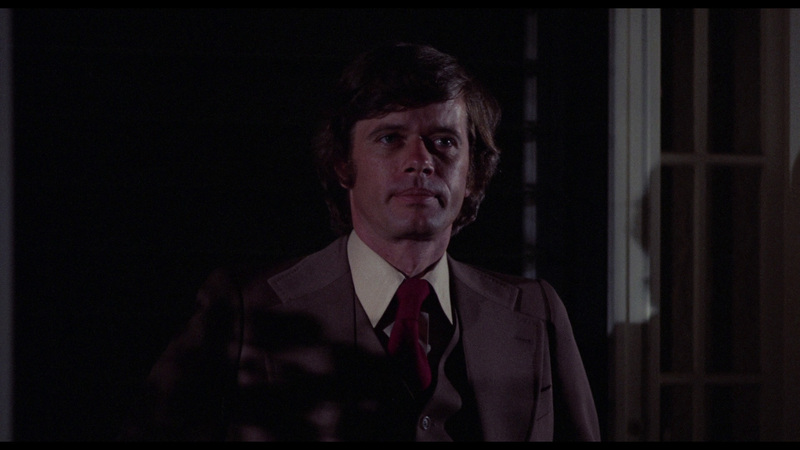 The story explores the exploits of the titular Professor Peter Proud (Michael Sarrazin). 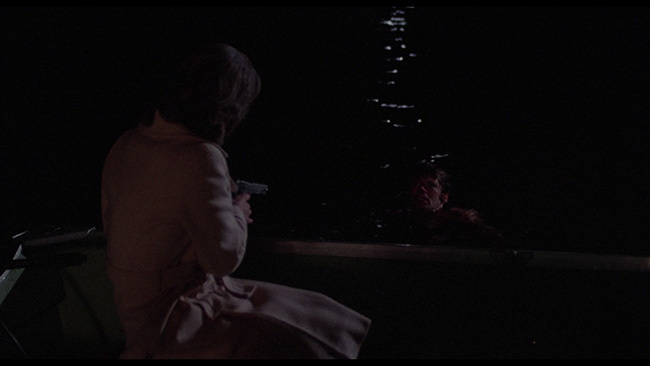 He lives and works in sunny California and seems to live a perfectly fine life – but he’s the victim of a macabre recurring nightmare wherein he sees a pretty, dark haired woman named Marcia Curtis (Margot Kidder) murder a man named Jeff Curtis (Stuart Thomas) with a giant oar while he takes a late-night swim. 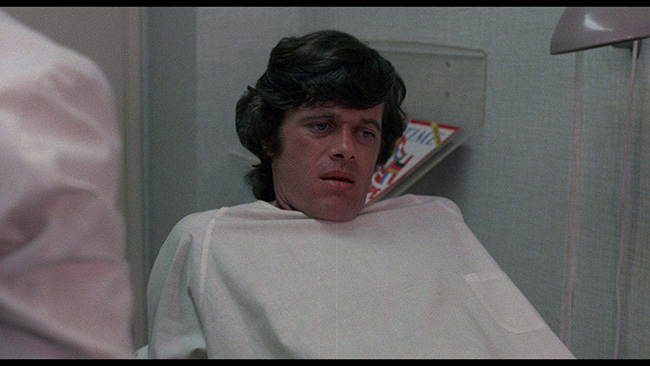 Peter seeks treatment at a local clinic, but nothing seems to really help. Peter is quite literally tormented by all of this, and it’s starting to take a toll on his relationship with girlfriend Nora (Cornelia Sharpe). 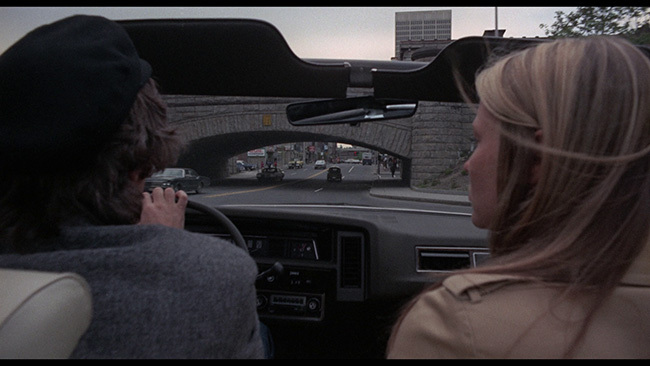 Then, seemingly quite at random, he’s watching television and strangely recognizes a location from the show – a location based on the opposite side of the country in Massachusetts. With some assistance from Dr. Sam (Paul Hecht), Peter and Nora decide to head to the East Coast and check the place out and upon doing so, Peter gets a serious case of déjà vu – this is the place where his recurring dream took place. Making matters even more unusual, soon enough Peter meets up with an older but very recognizable Marcia, now the mother to a daughter named Ann (Jennifer O’Neill). Soon enough, Peter and Ann develop a relationship. It’s then that he learns she never knew her father, while Marcia starts to wonder what Peter’s connection is to all of this. Benefitting greatly from some gorgeous cinematography courtesy of Victor J. Kemper and an equally strong score from Jerry Goldsmith, The Reincarnation Of Peter Proud was clearly meant to cash in on the supernatural/occult trend that was proving to be box office gold in the seventies thanks to pictures like The Exorcist, The Omen and The Amityville Horror. 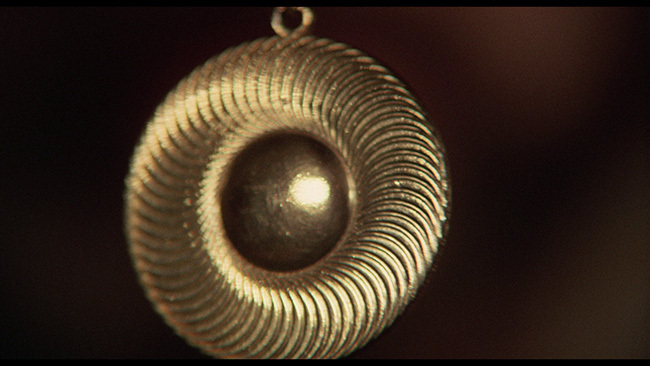 Unlike those pictures, however, the focus of Thompson’s film has more to do with past lives and how they tie into the current day experiences of the characters that we follow in the film. 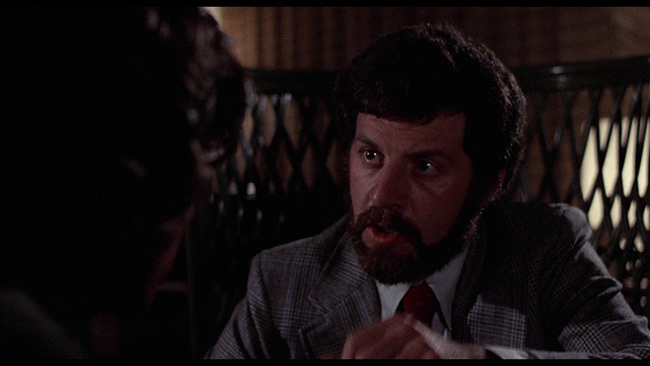 On that level, the film has more in common with 1977’s Audrey Rose, but having said that Thompson and Ehrlich definitely take this one into some very different territory. There’s a very strong sexual element to the picture, particularly when it comes to Kidder’s character (the bathtub scene in this picture is pretty infamous for that reason! ), but this doesn’t just effect Marcia, it winds up effecting Peter and Ann as well. But we’ll say no more to avoid spoilers, aside from the fact that, even if you see all of this coming, it hits with a reasonable amount of genuine impact. Thompson directs the story well. There are times where, in order to explore the ramifications of the toll being taken on the characters from their experiences, he slows things down to a snail’s pace, but the movie winds up better for it. These little moments allow the characters to develop properly and in doing that, Thompson ensures that things hit harder when they need to. Performances are strong here. 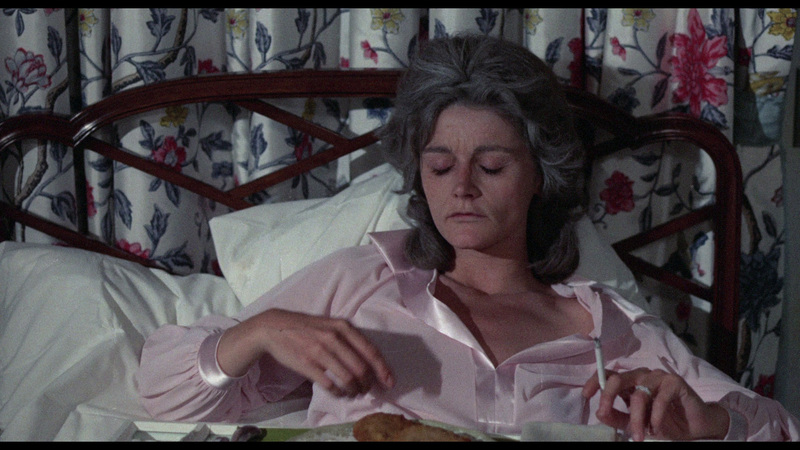 Kidder is excellent in her part and O’Neill, strikingly beautiful as she is here, just as strong. 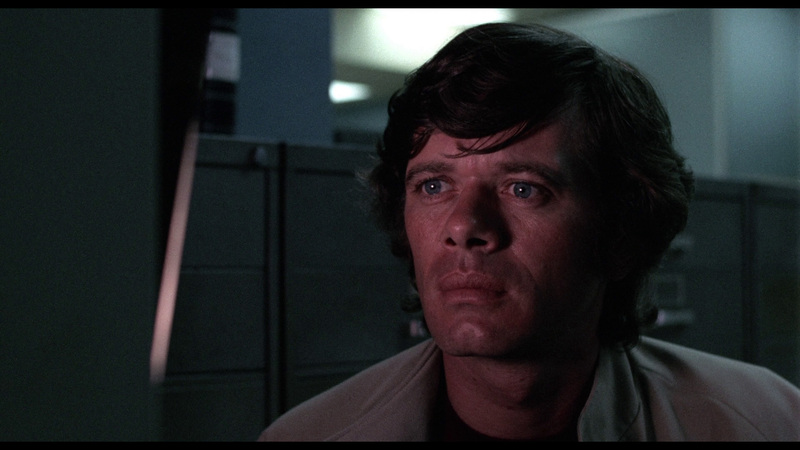 Supporting work from Cornelia Sharpe and Paul Hecht is decent as well, while Canadian born Michael Sarrazin proves here that he probably should have gone on to be a bigger star than he was. The Reincarnation Of Peter Proud comes to Blu-ray from Kino in a 1.85.1 widescreen transfer in AVC encoded 1080p high definition taken from a ‘brand new HD master from a 4K scan of the original 35mm negative by Paramount Pictures Archives.’ There is some noticeable damage to the elements used that’s mostly visible in the form of some scratches visible during the first half hour or so of the movie. After that, things improve considerably but even during the earlier moments there’s very good detail to the image. There’s also plenty of texture and generally really strong depth to the image as well. Color reproduction looks just fine and black levels are nice and deep. Skin tones look just fine, never too pink or too waxy, while the picture retains an appropriately film-like appearance throughout, never slathered with noise reduction or edge enhancement. The only audio option for the film is the original English language DTS-HD 2.0 Mono track. Optional subtitles are provided in English only. The score absolutely benefits from the lossless treatment here, the music really gets a nice boost. Dialogue stays clean and clear and the track is free of any noticeable hiss or distortion. There are no problems to report here, for an older single channel mix, the audio here sounds very good. Extras start off with an audio commentary by Film Historian Lee Gambin that’s a fairly personal affair in that it’s mostly the man offering up his interpretations of different scenes. When he’s not giving a reading of what’s happening in the film he does offer up some interesting trivia and make some fairly astute observations as to how and when the movie compares to similar films made around the same time. It’s moderately interesting at times. Kino has also included both the three-minute Spanish Super 8 bathtub scene featuring Kidder with Spanish audio and an interesting two-minute Spanish Super 8 vs US Side by Side featurette with English audio featurette. The first is an interesting alternate version of that scene while the second compares and contrasts the differences between the Super 8 version and the version included in the feature. Outside of that, we get a TV spot, English and German language theatrical trailers, two radio spots, four different animated still galleries, menus and chapter selection. The Reincarnation Of Peter Proud is very much a product of its time but it is an interesting, and fairly under seen, seventies occult thriller with some good performances and interesting ideas. 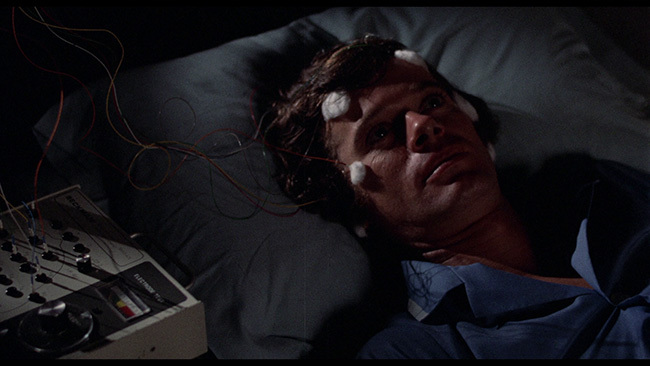 Thompson and company don’t always pull things off flawlessly, but the movie is weird enough to hold our attention and it should appeal to those with an affinity for seventies cult oddities. 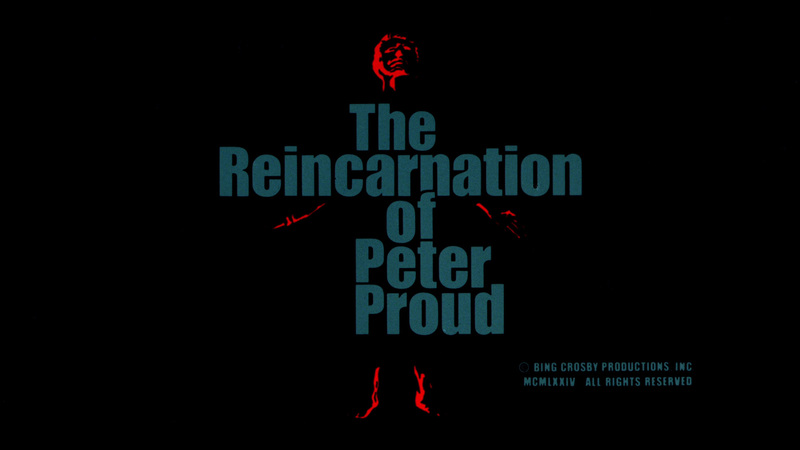 Click on the images below for full sized The Reincarnation Of Peter Proud Blu-ray review screen captures!